Controller has dual analog sticks, directional pad, shoulder buttons, triggers, full-sized grips and illuminated action buttons, plus a built-in rechargeable battery so you'll be ready to play whenever you want ! 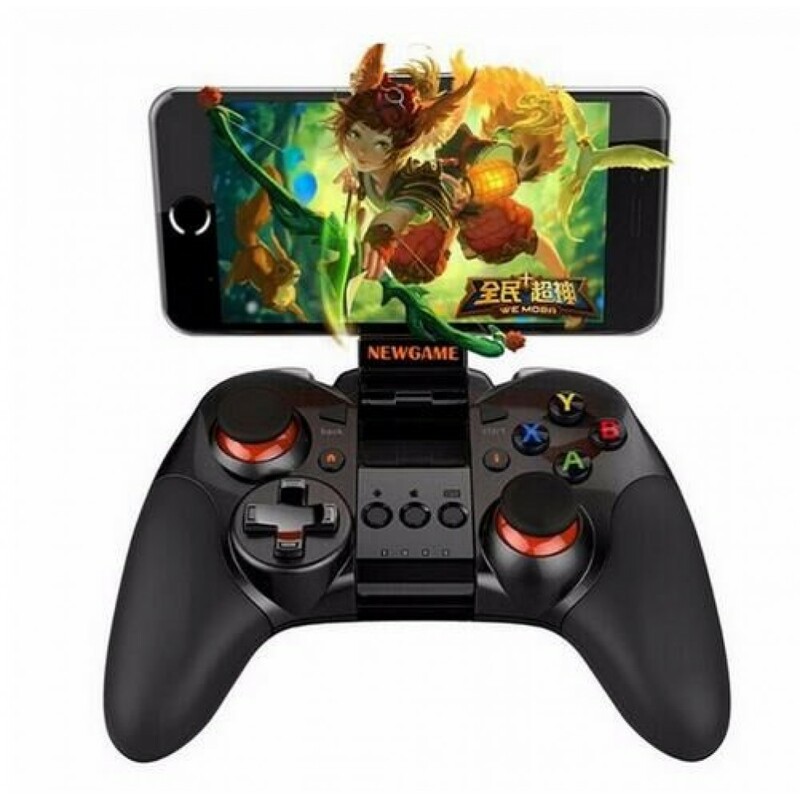 The gamepad Arm secures your Bluetooth-enabled Android 4.2+ device (up to 84mm) to the gamepad Controller,Can hold 9cm width cell phone or 3.2''~6'' screen. Compatible Models Android/ios cell phone and Tablet PC, PC with Bluetooth function. Supported OS: Android 4.2 above/ iOS7.2 above.